Earlier this week I watched the film with nine students from two different L.A. schools where we work. None of them were familiar with Shepard’s story. I’ve known one of the students, Priscilla, now a senior at LA School for Global Studies, for almost two years. I first met her when she was my guide for her 10th grade class’s museum project that explored intolerance through the experiences of victims, survivors, bystanders, and upstanders during the Holocaust. Priscilla was (and is) passionate about the course, and was eager to share her memories of meeting Edith, a Holocaust survivor who spoke to her class. Later, Priscilla represented Facing History in our student group discussion at the LA Fund screening of BULLY, which brought together nearly 7,000 Los Angeles Unified School District (LAUSD) students. Yet even this active and engaged student (and I’ve met many, she’s just one!) had never heard of Shepard. Her reaction to the film? She said that the young man she got to know by watching it is a lot like some of her friends - someone she would like to know. “When we come to really know others, we find more similarities than differences,” she told me. She said the film made her realize that what happened to Shepard could happen to anyone - unless we do something about it. And what we can do starts with how we treat the people around us. I witnessed those nine students start to think and talk a little differently about friendship that day. I think it made them think not only about the friends they have, but the friend they can be to someone who might really need one. 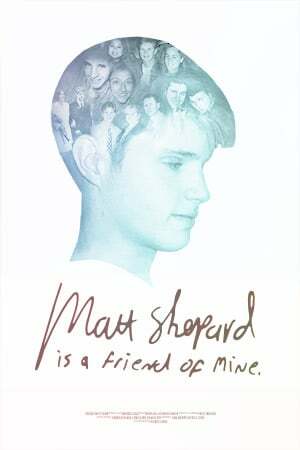 I hope the film sparks more conversation about friendship and the legacy Matthew Shepard might help to create – a legacy of a more understanding and compassionate society. Read more about the film in this interview with the filmmakers. If you are interested in learning more about Facing History's work promoting safe classroom environments and fostering tolerant school culture, be in touch with our L.A. office at info@facing.org.